The Relationship between Labor Epidural and Back Pain! Home / NEWS / The Relationship between Labor Epidural and Back Pain! Epidural is relief provider during childbirth at the same time keeping you fully conscious during delivery. Even though there’s less overall pain but it doesn’t completely get rid of it during childbirth. A catheter is used to induce the medication. It is a thin flexible tube exactly hollow. It is inserted in the epidural space. 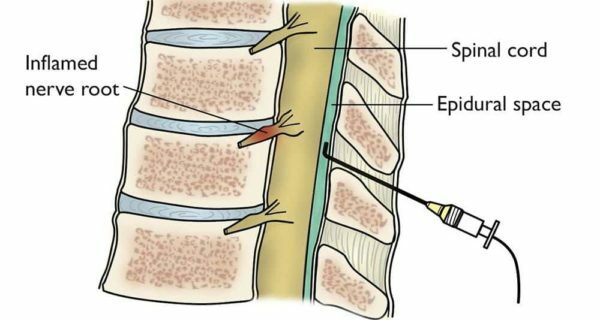 A membrane surrounding the spine houses is epidural space. Lower back pains during pregnancy are more prone to strike women and the following weeks after they have given birth. This controversy of epidural and backache has been around for quite a long time. It is thought that epidural is the top cause of back pain that affects one–third of the women in the world. However, this is believed to be partially true only. 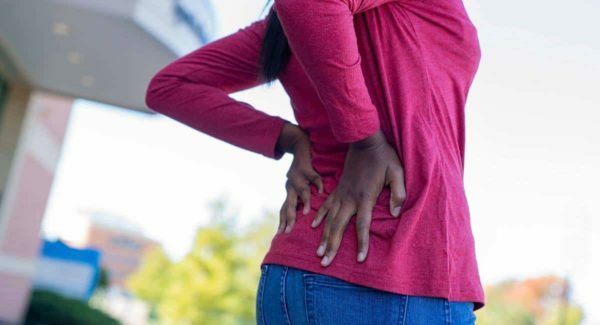 An epidural might be the cause of a backache in women in the starting days of childbirth, but it is yet to be cleared whether it implies to longer backache also. It is common to experience short-term soreness right after epidural childbirth especially around the catheter region, a place where medication is injected. This alone is the reason why most women associate chronic back pain with labor epidural analgesia. But the question remains to beg the answer is whether a correlation exists between these two. Labor Epidural and Chronic Backache a Correlation? Some retrospective studies were conducted to suggest a mild association between epidural analgesia during labor and back pain. However, these studies were soon seen to flaw reasoned to be heavily dependent on past events memory. If post-delivery surveys were performed months and years, as it is mostly seen in the case of such retrospective studies, the results may be inaccurate. Using epidural analgesia was not associated with developing chronic back as such revealed by a study conducted by Howell et al. In fact, no significant differences were present in the incidence of long term back pain among women who received epidural pain relief and women who were given other forms of pain relief. Instead, the cause of a backache if developed was due to mothers receiving epidural analgesia were less sensitive to postures that were back stressing. It resulted in poor back positions for longer periods of time giving rise to post-delivery back strains. Another reason for experiencing post–delivery back pain could be a trauma to the lumbar muscles and ligaments. This takes place during epidural needle insertion at the site of the catheter. However, this should be noted it is quite uncommon and the pain is short term. Women having delivered viable singleton infant were interviewed. The duration of this interview was 12-48 h after delivery. The reason was to determine the history of any back pain that occurred before or during any recent pregnancy. After two months, a follow-up questionnaire was sent to the interviewed women regarding the occurrence of postpartum of back pain 1-2 months. Summing up things based on studies, we come to a point that there’s no connection between back pain and use of epidural. The relief from epidural pain during delivery don’t put women on the risk of long-term back pain. Pre-existing prenatal backaches due to mechanical and structural changes in the spine are likely to attribute the post-delivery back pain. This is all a result of normal physiological changes during the pregnancy. Tips to Relieve Back Pain after Epidural? Choose walking as it is one of the gentle exercises to add to your routine once you are free from Cesarean or vaginal birth. Walk at a slow pace in the starting weeks. Exercises for abdominal and back muscles will be great for developing a strong core. This includes the addition of pelvic tilts in your everyday routine. Yoga or gentle stretches will help too. But extreme positions should be well avoided. If you feel any sort of discomfort in a certain position stop it right away. Standing and sitting postures should be maintained properly. If you need help fixing your body posture or relieve your back pain, please visit this page.